School Buses now take Westlake children to school! 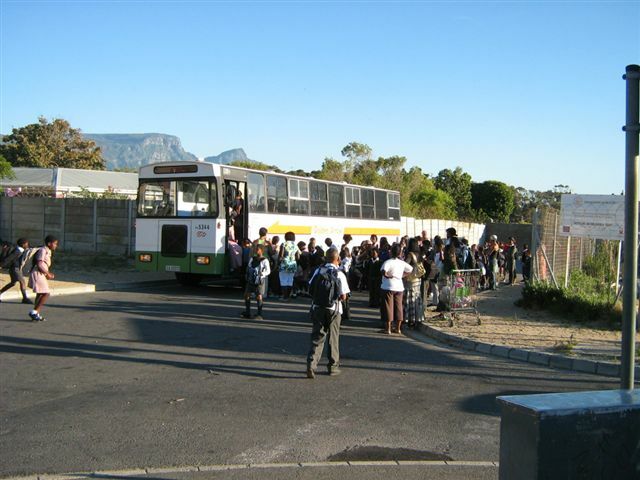 WUCT is now involved in helping the community to transport their children to school, as there is no school in Westlake. As a result, we have organised 3 Golden Arrow buses to take 253 children to 13 different schools in the surrounding areas. 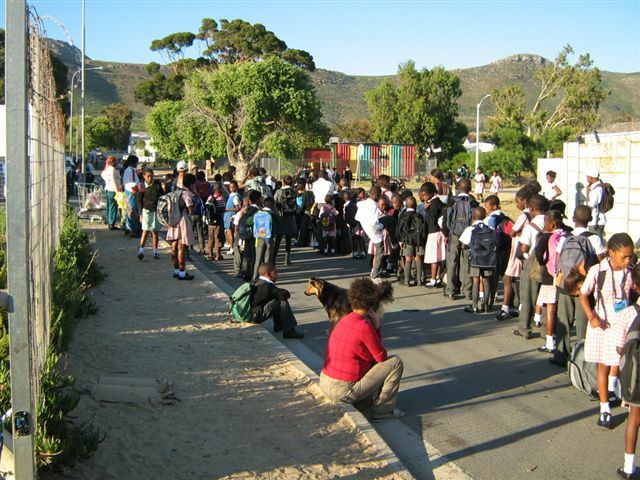 Here is one of the buses and some of the children waiting to go to school at 7.00 in the morning. 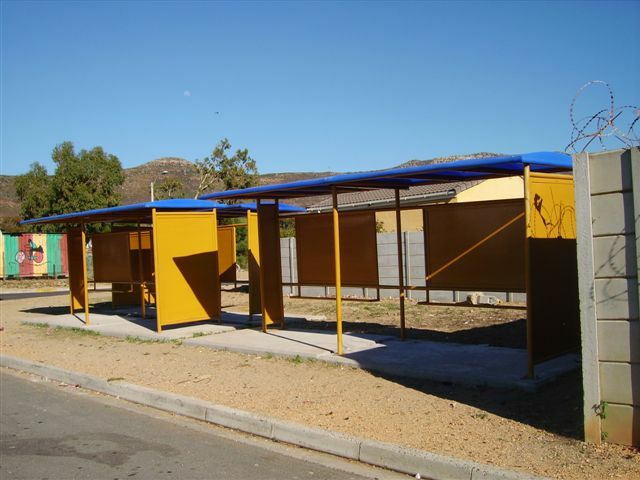 Latest news – We have a new bus shelter, which will be great for the children when the winter rains start!